Nadim Mirshak is Lecturer in Sociology at the University of Manchester. His research focuses on the political sociology of education, social movements and critical pedagogy, and state-civil society relations under authoritarian contexts. There is a dynamic relationship between authoritarianism and resistance, whereby authoritarianism is never absolute, but always challenged through multiple ways that do not solely revolve around contentious politics. 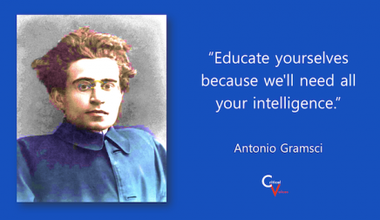 How can the work and thought of Antonio Gramsci help us make sense of the Arab Uprisings and their aftermath? Is there a place for critical pedagogy in times of counter-revolution?